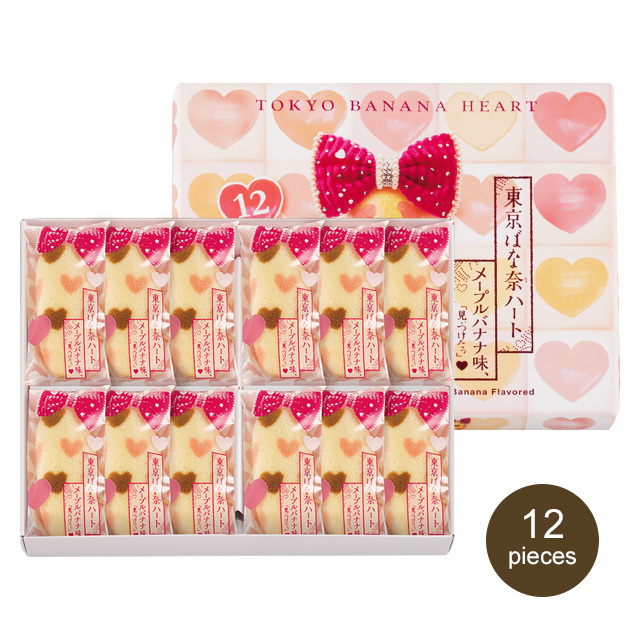 A design of hearts is baked into this light and fluffy sponge cake. 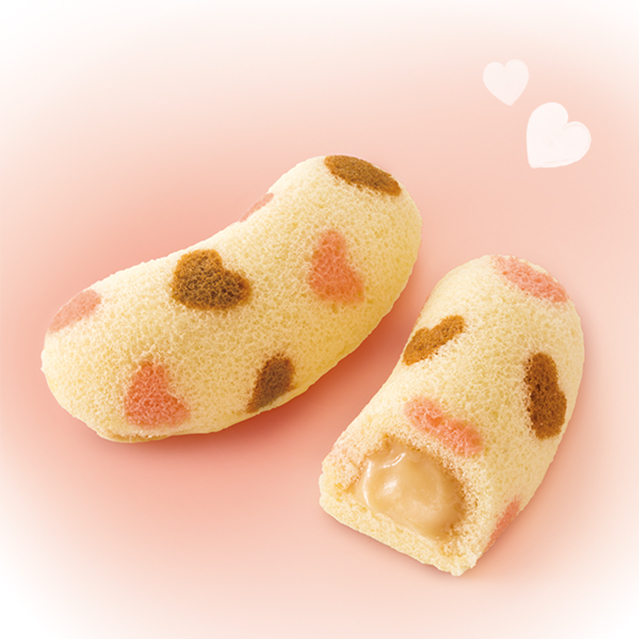 The banana custard filling has a subtle maple flavor. 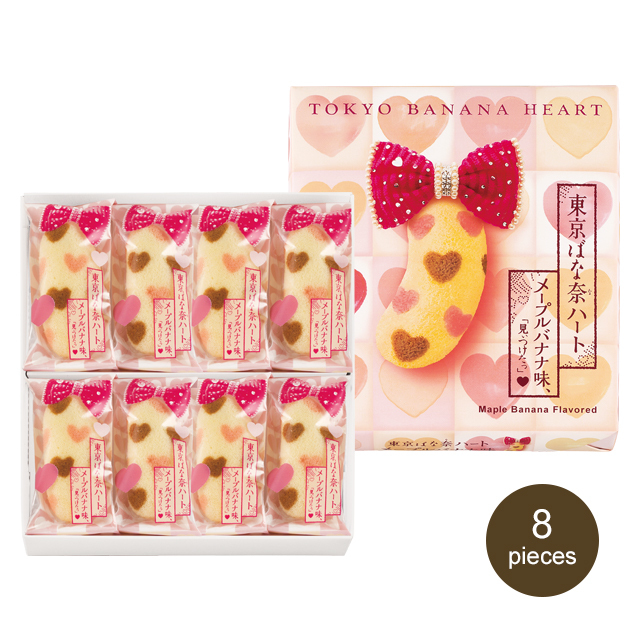 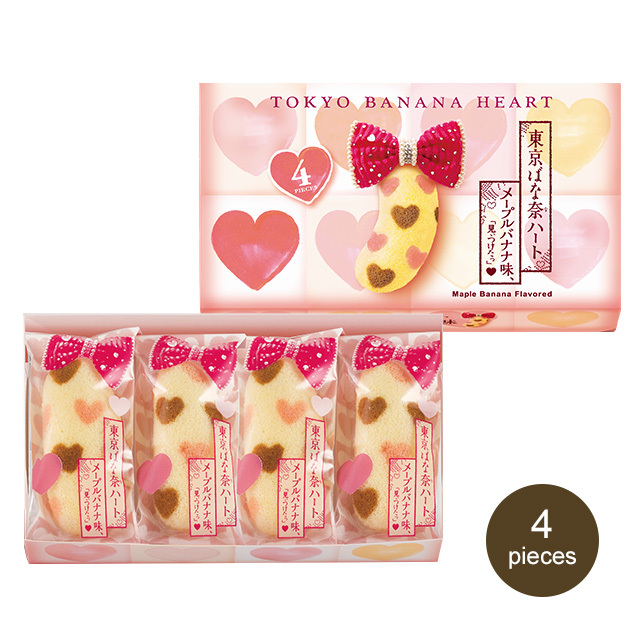 You will find a “heartful of love” in our TOKYO BANANA HEART.